When I shared with a stranger today that I loved living in the West Bank and she asked me why, I found myself speechless. I didn’t know what to say. Surely it wasn’t the pain and all the oppression, palpable and thick in the air. Surely it wasn’t watching families pass through the checkpoint with terror in their eyes or my friend, her face full of worry and pain for the future of her children. Surely not the streets littered with rubbish because this occupied people has little opportunity for self determination and the development of infrastructure. Surely it wasn’t conserving my water usage since Palestinians are forced to buy back water from Israelis that comes from their own aquifers. It wasn’t the bullet holes in all the walls, it wasn’t the marks of shoot outs on the streets, it wasn’t wailing mothers in every neighborhood mourning the execution of their sons. It wasn’t the restlessness I felt with my own heart as I grappled with all this misery and failed to process it all. 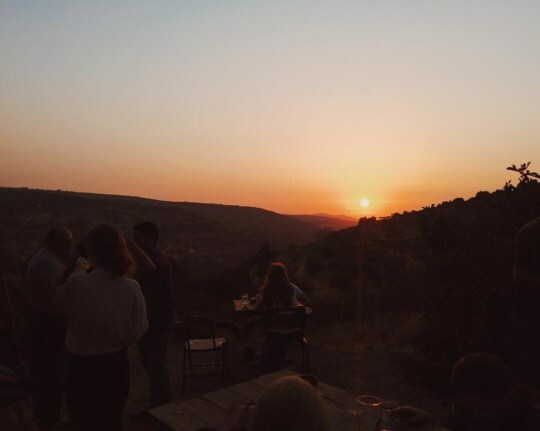 But it WAS the sunsets bathing the hills, the music festival at the farm-to-table restaurant overlooking the Apartheid wall, defying one nation’s efforts to expel these passionate people from their homes. It was the tears of activists which showed such hope and passion for things to be made right. 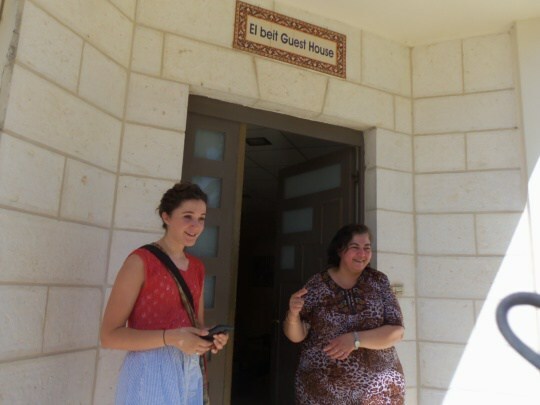 Ana Michele and Amal at the guest house near Bethlehem. It was our house cook, Amal, who literally poured out her sweat and all her love with each delicious meal as she worked all day in a stuffy kitchen just to fill our bellies and our hearts with delight. It was the generosity of EVERYONE I met, no matter how poor. It was the rawness of life, the Palestinian poets, artists, and musicians expressing their pain through beautiful creations. It was the nights filled with the melodies of church bells and mosque calls to prayer that mingled together. It was the worry and the reality and the beauty and the humanity of it all that stole my heart, breaking it, but making it whole.